For expert after-sales service in Greater Edmonton, trust the experienced team at Sundance Mazda. We can handle all your Mazda maintenance and repair needs. The committed professionals in our Service Department specialize in Mazda vehicles and will do their utmost to ensure that you leave satisfied and knowing we have done everything to guarantee your vehicle’s safety, longevity, and resale value down the road. 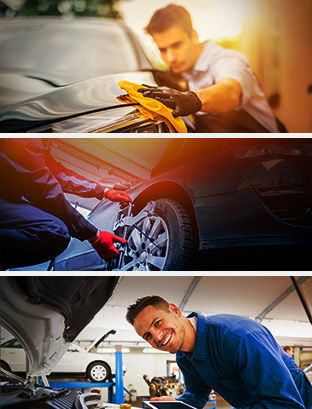 For your next oil change, brake repair, wheel alignment, and more, Sundance Mazda’s trained technicians have decades of combined experience and know what is best for your vehicle. We have 14 technicians waiting to serve you, including three Mazda Master Technicians. Sundance Mazda Service is also SKYACTIV Certified! You can book your next service appointment online using our straightforward appointment form. For any questions about our Mazda Parts and Service Department, please contact us online or by phone at 1-844-472-8053 today. Better yet, consult our current service offers for great chances to save!